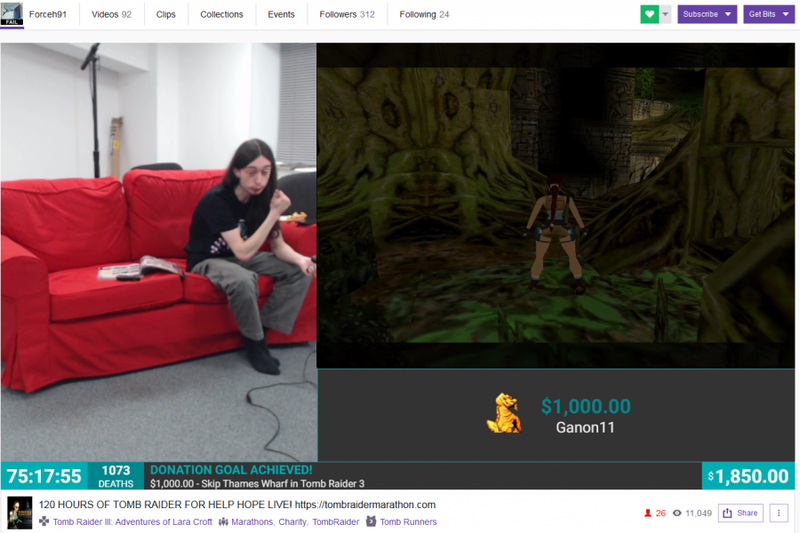 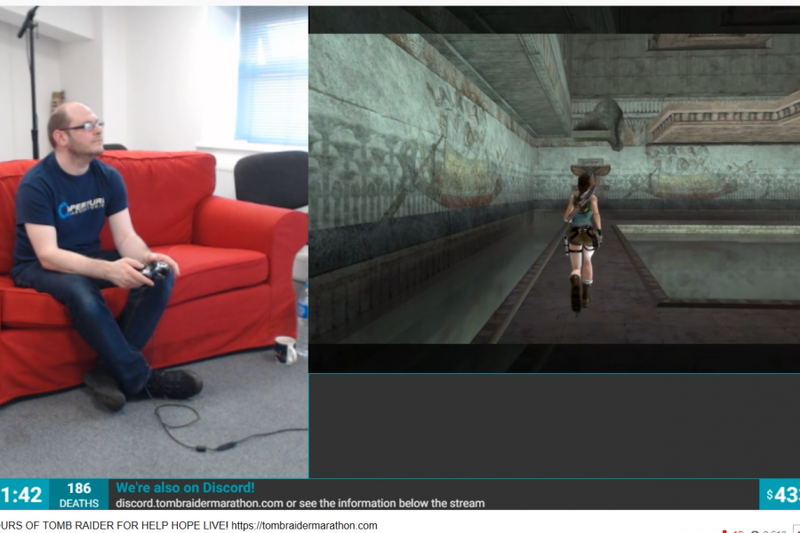 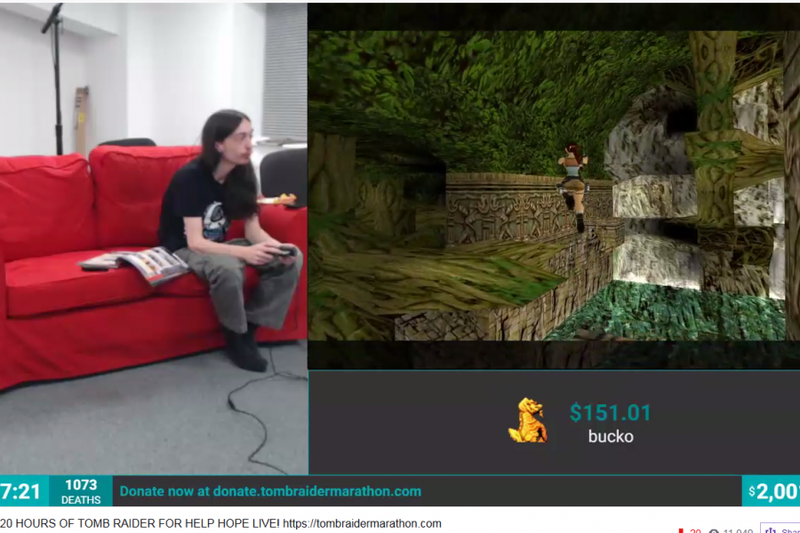 We appreciate the streamers, donors, and volunteers behind Tomb Raider Marathon III, a 120-hour gaming marathon in April 2018 that raised $2,114.99 for Help Hope Live. 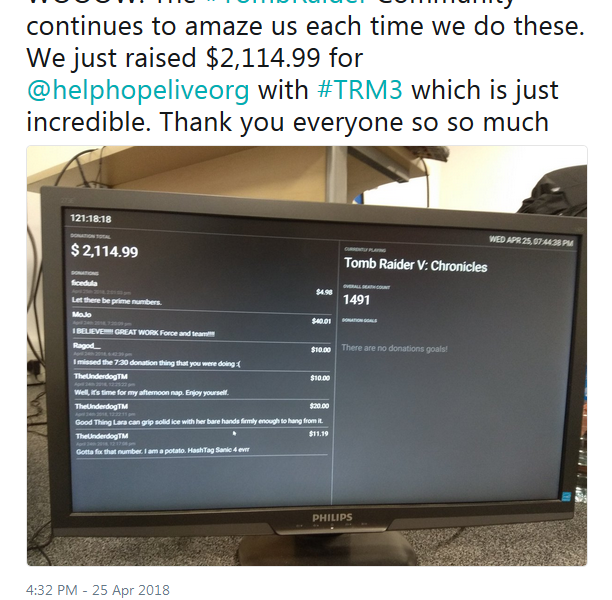 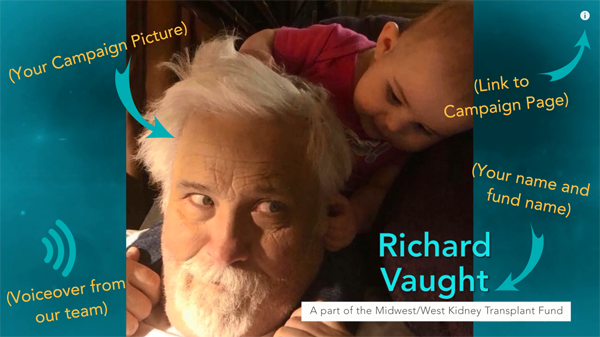 The TRM III team exceeded their $2,000 goal! 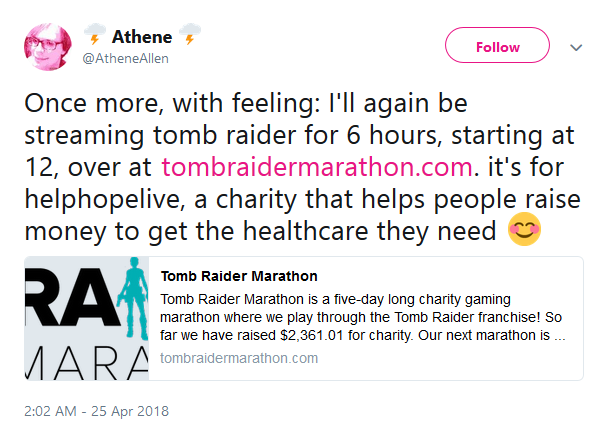 Watch the whole marathon at tombraidermarathon.com. 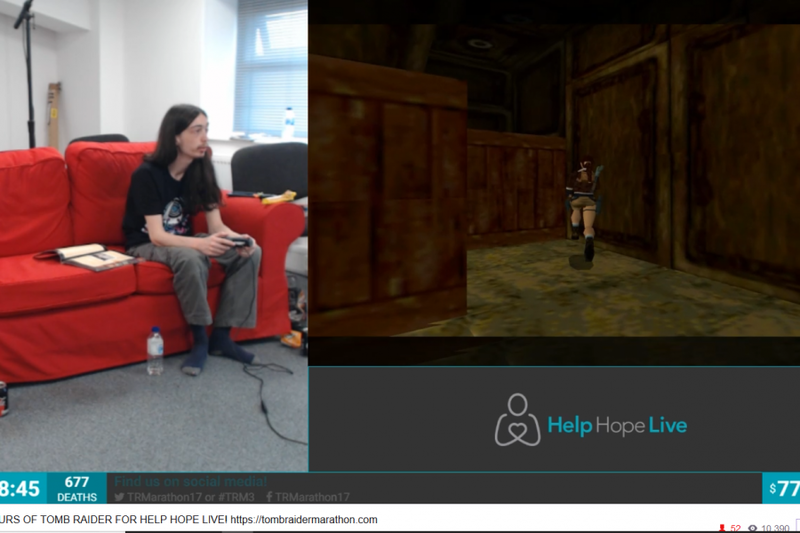 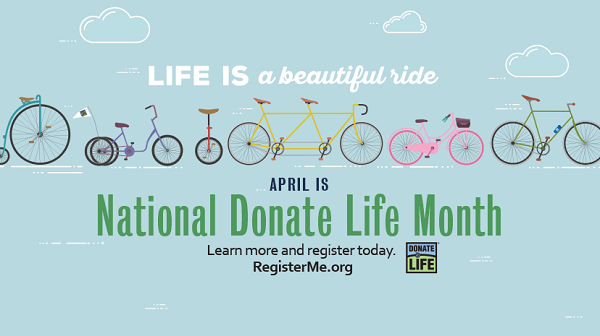 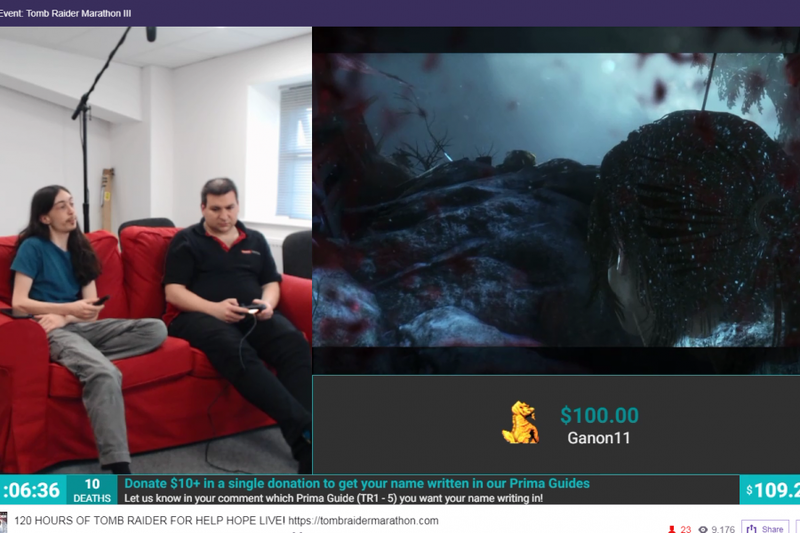 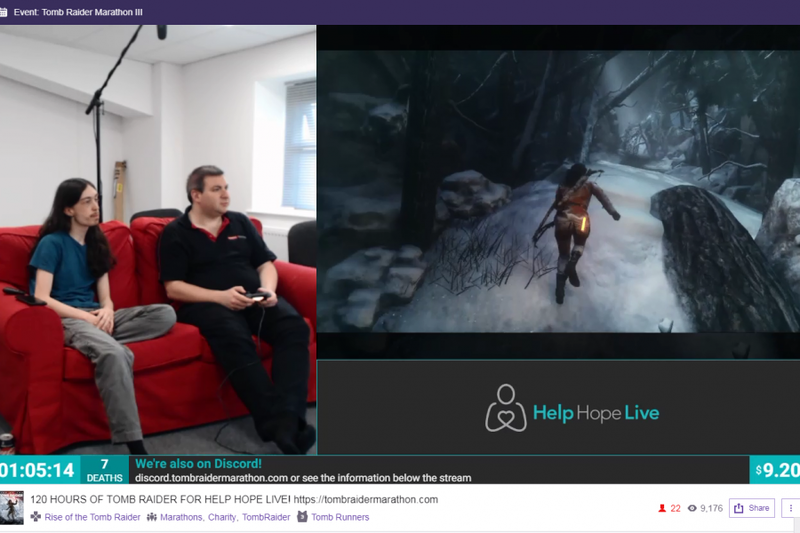 Want to stream for Help Hope Live or launch a multi-day charity marathon of your own? 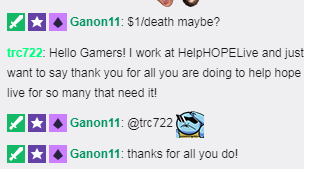 Resources and an Application are available at www.helphopelive.org/gaming.